The benefits of personal training have long been recognised. Having a professional help you design an appropriate exercise program, taking into account your goals, your past history of injuries, and being able to adjust your program for any new developments, such as a sore lower back or tight neck on the day, helps you get the most out of your training session. Ultimately a personal training session should be functional. It should be designed to best suit your sport, your training, your personal goals, whether they be to fit a certain pair of jeans or to run a marathon. Your daily results need to take you one step closer each time. y if you are losing weight, the class must be working? Having worked alongside various people and in various training environments, yes, I have seen women lose weight, but at the cost of lower back problems (sit ups done incorrectly in popular outdoor programmes), hamstring and calf injuries (running 5km after not having run for years, and not stretching afterwards), and so on. My aim when training a client is that firstly I help them do what it is they need their body to do on a daily basis (career, motherhood, sport, hobby) by addressing any injuries, postural imbalances and work towards getting their body back into balance, and then in the process of doing this, you find that your body will improve aesthetically. The physical improvement to the body is the byproduct or bonus, but not the main aim for me when training a client. If a client's aim is to get an impressive 6 pack, I will work all the postural muscles to ensure they are balanced around the trunk, not leaving out deep abdominal muscles, rotational spinal muscles, and gluteal muscles. 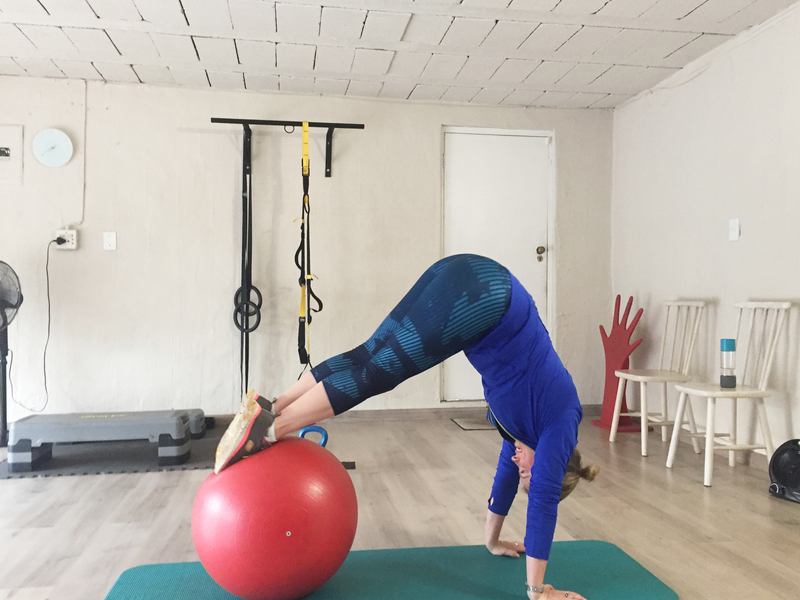 I include my fitness, resistance and outdo or circuit training experience as well as my Pilates experience in my exercise programs, as well as taking various movements from different sports to inspire my exercises, thus keeping the program interesting and challenging for the body and mind.